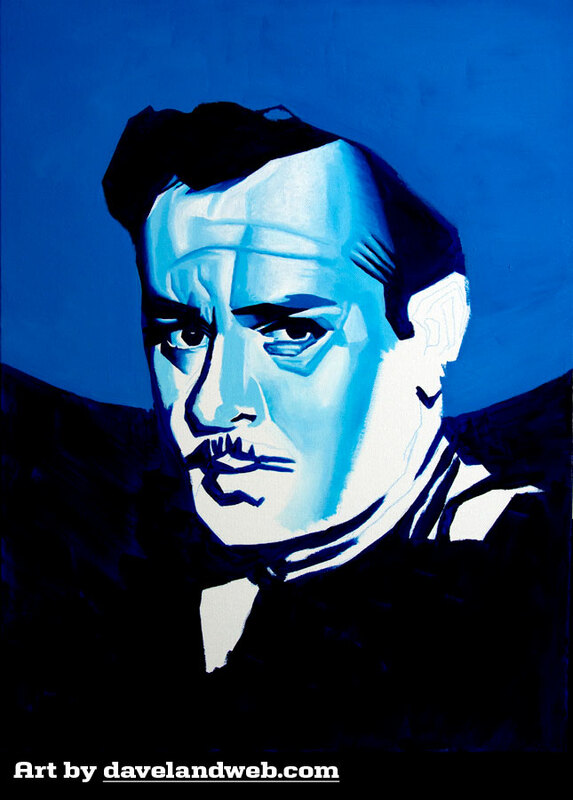 My painting of actor Pedro Infante, which I have titled "Blue Diablo," is now finished. Let's see if I can get back to that West Baden Painting over my 3-day weekend while i'm still feeling creative! Follow my Daveland updates on Twitter and view my most recent photos on Flickr. See more Daveland art on my website. 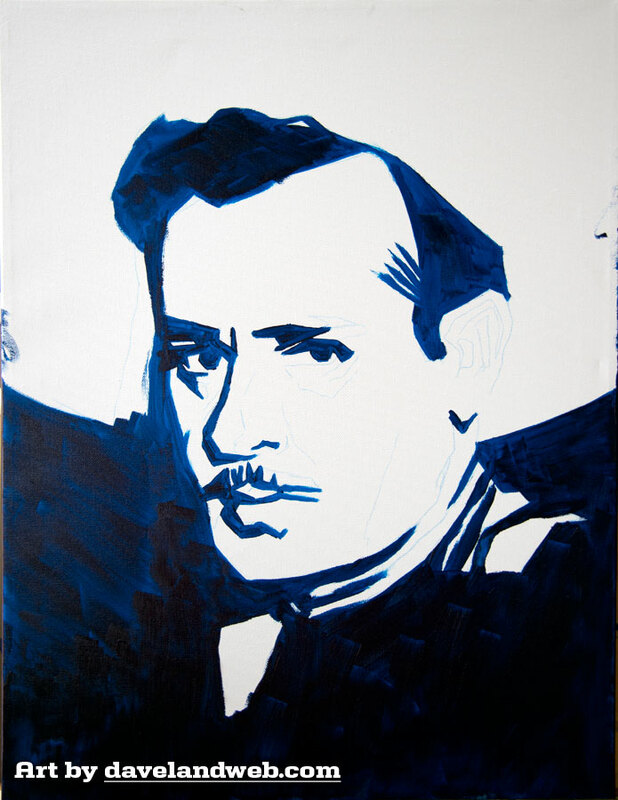 If I could only use one color for my paintings, it would be Phthalocyanine Blue. Now that I have begun putting in details and blending, I am reminded of why I like it so much. 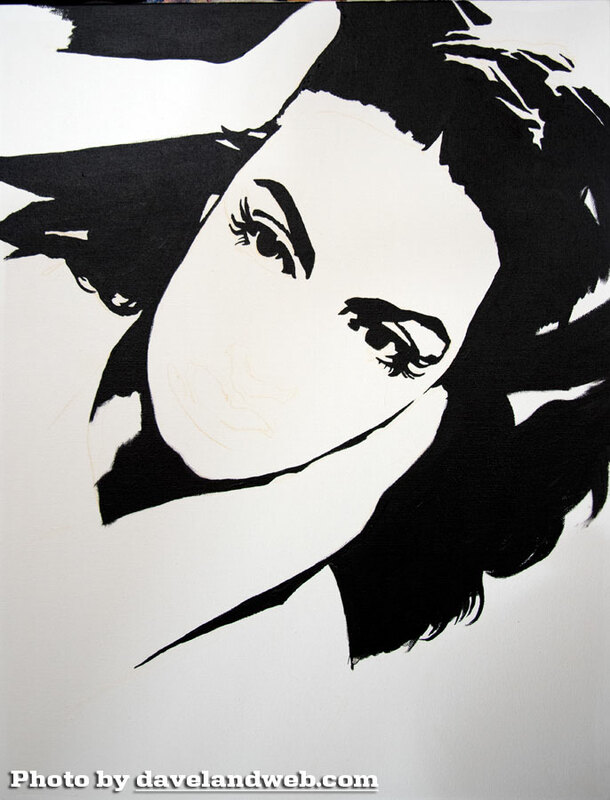 Ultra dark by itself, it creates the most vibrant shades as you continue to add white, and blends so well. 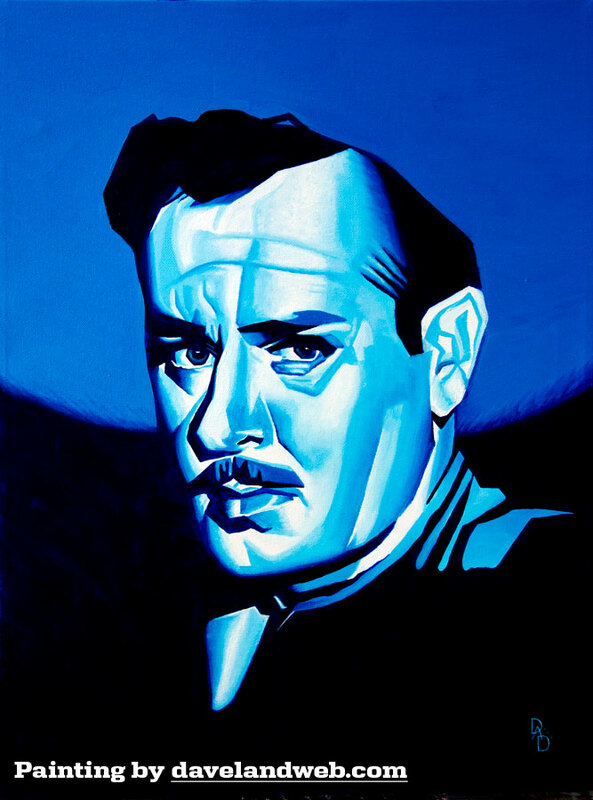 The man in the painting is actor Pedro Infante, based on the poster art for the film "Cartas Marcadas." It's always nice when a client likes the painting I have done; it's even better when they ask for another. 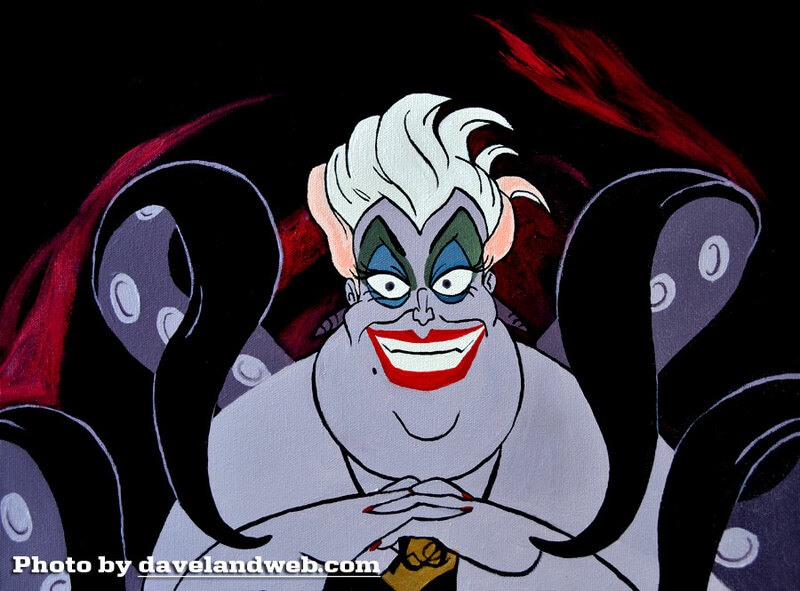 Such was the case with Doña Diabla. 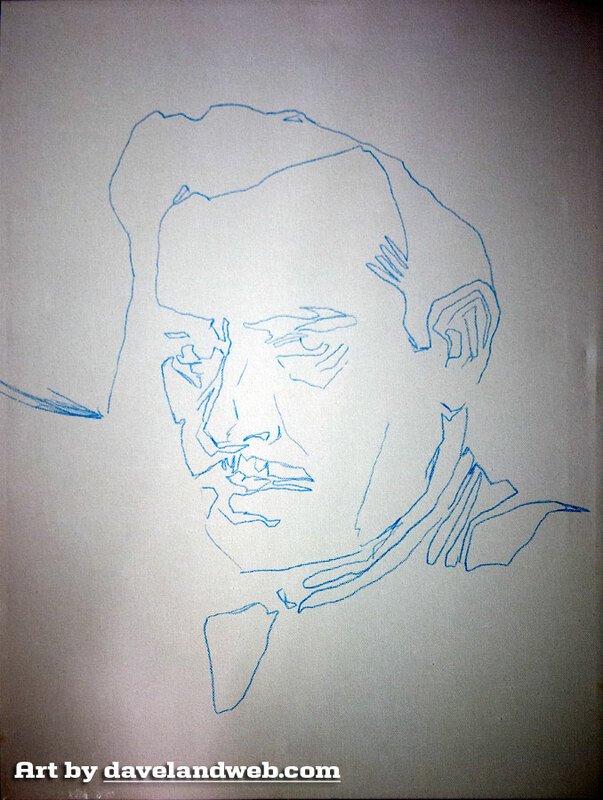 Here you can see the companion piece (which I have titled Blue Diablo) begin to come to life. I am using my very favorite color for this one: Phthalocyanine Blue. That's a mouthful. Although it typically takes a few coats for the solid areas, it is one of the best colors for blending, creating the most beautiful shades of blue in the process. Thanks to a few days off over the holidays, Doña is done! 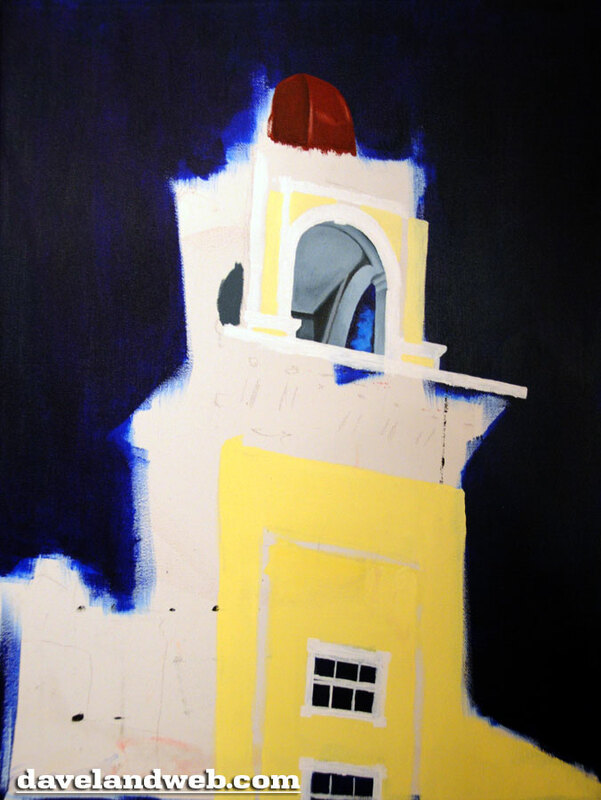 Now to get back to my West Baden painting, which I sketched out about 13 years ago...oops! 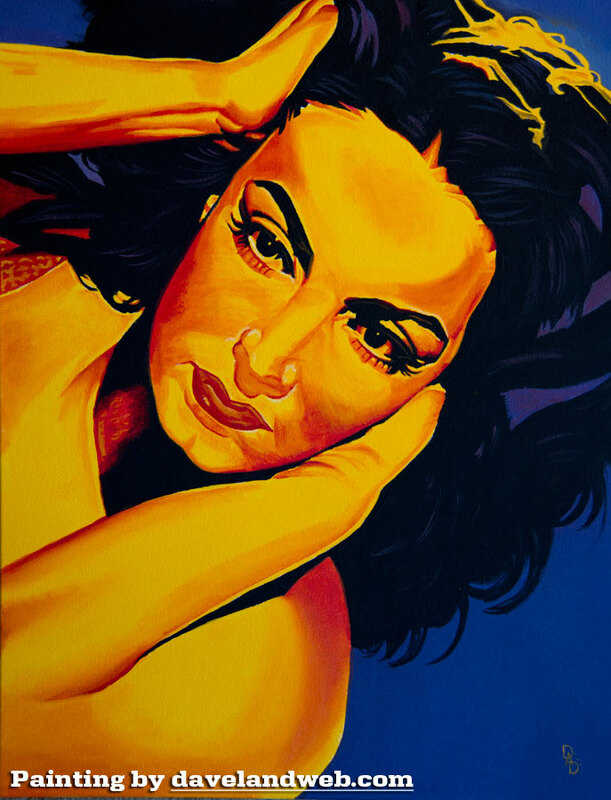 "Doña Diabla" (1950), aka "The Devil is a Woman," starring María Félix, is a Mexican film drama. 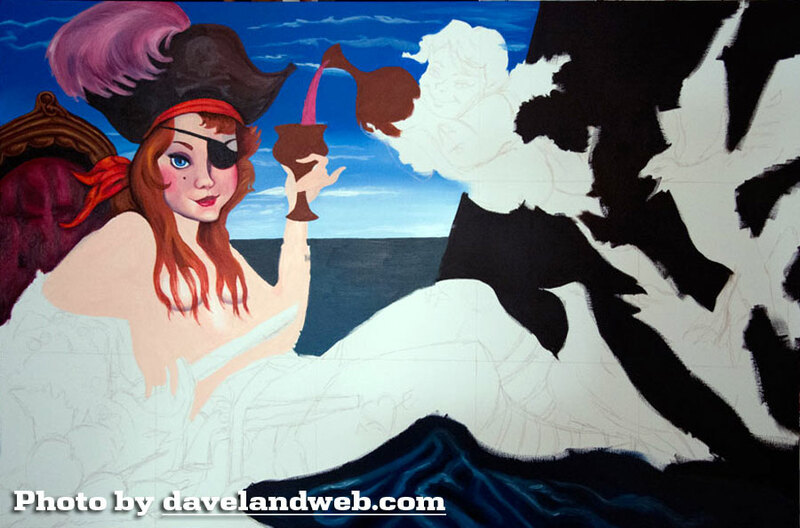 I don't know squat about it, other than I have been commissioned to do a painting inspired by the film poster. 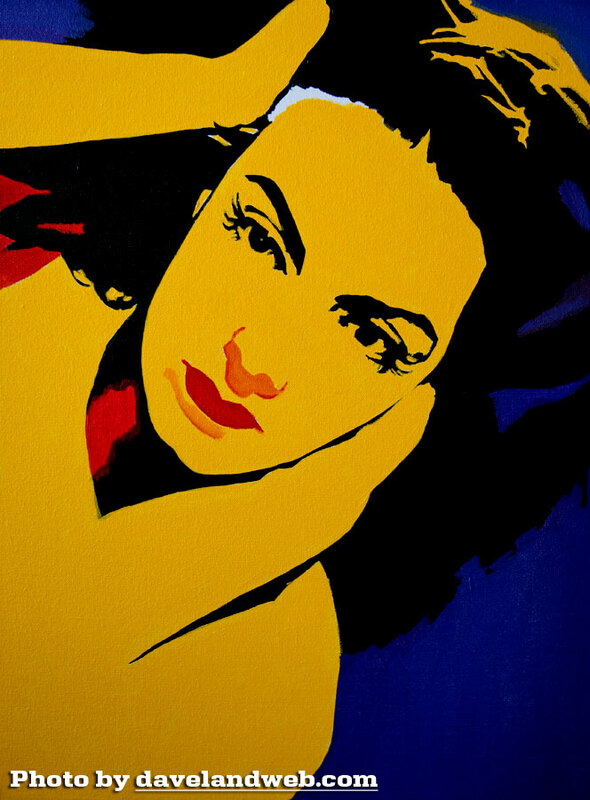 This one is right up my alley; saturated colors and a style that evokes Tamara Lempicka. My time for painting has been next to nil for the last few years. After a recent trip to Indiana where I talked to one of my artsy friends, I realized that although I enjoy photography, I really do miss creating art on a canvas. We talked about how he creates his paintings and the technique he uses. His work is much more fanciful than mine; scale and proportion is much more loose, and his paintings have a real sense of playfulness and movement. On the other hand, my style is much more precise and labored; something that throws me into a tizzy whenever I am about to paint something. I worry about the scale, the proportion; is everything just so? Is that line smooth enough? I realized I really need to put some fun back into my art. As an experiment, I decided to attempt to recreate an iconic (yet hidden) piece of art by Disney animator Marc Davis. This painting can be seen (for those with good eyes!) 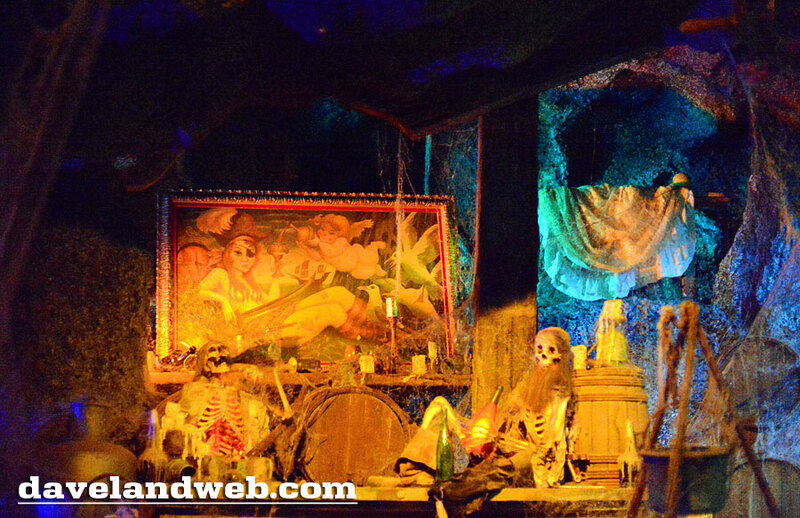 in the Captain's Bar scene of the Pirates of the Caribbean attraction at Disneyland. This painting has so much fun in it; the smirk on the wench's face; the cherub pouring the wine. Even though some of the proportions of the wench are goofy, this amazing piece of art works. I began with (of course) a grid on the canvas to help guide me with perspective. Even with this, I didn't feel it was looking just right, and ended up disregarding it in the end, relieving myself of the burden of having to match the original perfectly. Once I did that, I was able to feel the spirit of the painting rather than approaching it from a cold technical standpoint. I found myself more excited about working on this, and (magically) found more time to work on it. I was pleased with the final result. I am hoping this will spur me on to create my art more freely, and not get panic attacks whenever I look at a blank canvas. I am ashamed to see it has been over a year since my last post! Ouch. Time sure does fly. I knocked out this one as a gift for a friend who loves the Disney villains; I hope to be back to more challenging stuff soon!